Today's quote for the day comes courtesy of Danielle Bean in Catholic Digest. Messes are temporary things, but the souls we are raising are forever. When my boys were little, I took them to a Music Together program. We went for 2 or 3 years with a group of friends and had a wonderful time doing it. Even now, many years later, the boys still remember some of the songs and I have very good memories of that time spent together. Making Music, Praying Twice, run by Kate Daneluk, is based on the same principles as the quality program I attended, but has the added advantage of including Catholic songs and prayer. I own the Fall and Winter CDs and my family enjoys them greatly. Some children's music can be torturous to listen to. These CDs are a pleasure for those of any age. Daneluk is instructing more and more teachers so that this program can spread far and wide, but for those who don't have a class nearby, Making Music Praying Twice offers a family program that can be used in the home. There is a wonderful article on Making Music, Praying Twice in this week's National Catholic Register: Children Make a Joyful Noise for the Lord and for more information on the program itself, please visit http://www.makingmusicprayingtwice.com/. Amy Welborn to start homeschooling! Well, this is exciting! Renowned catholic writer Amy Welborn is going to start homeschooling. Read more on her blog here: Let Me Learn. It will be very interesting to see how this plays out for her. I wish her all the best on this new adventure! 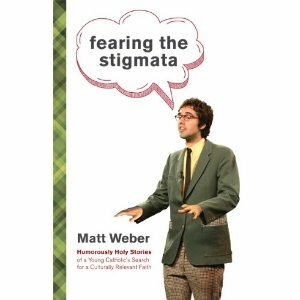 'Fearing the Stigmata': Cathedral High School graduate Matt Weber uses humor to tell stories of a young Catholic's journey. Matthew is the son of Peggy Weber, a Catholic writer and television personality for our Diocese of Springfield, MA. She has been writing columns about family life for years and I literally watched her children grow up through her shared stories. In many ways, she was the inspiration for doing what I do. Her children have definitely followed in her footsteps! Her daughter Kerry is an Associate Editor of America Magazine and wrote Keeping the Faith: Prayers for College Students. For his part, Matthew provides a two-minute humorous reflection as the final segment on "Clearvoice," a newsmagazine on Catholic TV. He also works for Harvard University as a new and social media officer and blogs for the Huffington Post. His new book is Fearing the Stigmata: Humorously Holy Stories of a Young Catholic's Search for a Culturally Relevant Faith. It is coming out in September from Loyola Press, but is currently available for pre-order on Amazon. I know some people stop attending Mass due to something bad happening to them. They blame God and are angry so they walk away. I've been reading After Miscarriage: A Catholic Woman's Companion to Healing and Hope in which women share very painful stories about losing children that they loved. "You can stay home," [her husband] said. "I'm sure it's all right." "No." I wished I was Protestant again and could skip church whenever I wanted to. But my "Sunday obligation" saved me. Because if I hadn't gone to Mass on that terrible Sunday when I was so mad at God, I don't know when I would have returned. It might have been only a week, but it probably would have been much, much longer. . . .
As Catholics we can't opt out while we manage our grief. . . Each Sunday we're required to be in a pew at Mass. And that is not a pain-in-the-neck requirement. That is a grace. Because it is when we are bleeding and in pain, when we are angry and lost, when we most don't want to be in a church that God has the most to say to us. She then goes on to relate the ways God helped her that day when she did go to Mass. If you've stopped attending Mass because you are angry with God, please consider this your invitation to return. The door is always open. God is always waiting. A couple weeks ago, I reviewed A Heart on Fire: Rediscovering Devotion to the Sacred Heart of Jesus and mentioned that it included an explanation of the traditional morning offering. Regardless of the words we use, it is a good idea to offer God our day each morning. All we do, we should do for Him and His glory. Something I signed up for at the start of this year was to join The Circle of Light at the Divine Mercy Shrine in Stockbridge, MA. I love it there, but I don't get there often, even though I only live an hour away. The last time I made it was almost three years ago. And, while I was there I lit a candle and said a prayer. With The Circle of Light, I have the comfort of knowing that candles are being lighted for my intentions and that my needs and the needs of those I love are always being raised to God. Obviously, the candles don't matter in and of themselves - they are only a symbol of the prayer that is offered. But, I am very thankful for the prayers. One feature I truly like is that I have an account on-line - I can go in and change my intentions at any time. As some prayers are answered and others come to the forefront, I make alterations as needed. Of course, I always pray for these intentions myself as well, but there is more power the more people who are praying! I can always feel greater strength when others are also praying for my intentions. In the glowing Our Lady of Mercy Candle Shrine located on Eden Hill in Stockbridge, Massachusetts, votive candles burn as outward signs of our faith. They reflect the warmth of our shared trust in the Lord. Our shrine is one of the largest indoor candle shrines in the United States with more than 2,600 candles burning brightly for the many prayer intentions received. You can choose to light one candle, one candle for four weeks, have one candle lit monthly, twice a month or every week. 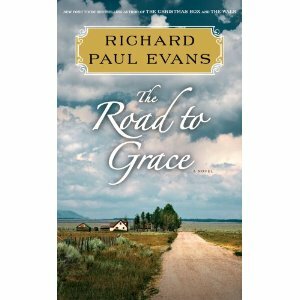 Richard Paul Evans commented on his Facebook page that many people have picked up and enjoyed "The Road to Grace" without reading the first two books in The Walk series. I've read and enjoyed all three, but after reading this one, I completely understand this phenomenon. This is definitely the strongest book in the series so far. All you need of the backstory is this: Alan Christoffersen has lost everything - his wife died and his business was stolen from him. To cope and grieve, he decided to walk across the country - from Seattle, Washington to Key West, Florida. This installment finds him making the way from South Dakota through Missouri. Like the other books, this one features the individuals he meets along the way and the lessons they teach him. In "The Road to Grace," he encounters a very strong cast of characters, including his former mother-in-law who had abandoned his wife when she was a little girl, a concentration camp survivor, and a young widow who shares his pain over losing a spouse. In this book, Alan is finally starting to heal, but as the book closes, he faces an even bigger challenge. I'm greatly looking forward to the next chapter in the story. the Women of Courage quilt patterns, which are blocks created to honor different women who have made a difference in our world. One of the women included was Blessed Mother Teresa! That got me thinking, if Mother Teresa can have a quilt block, why not other saints? I Googled and didn't find anything, so I decided to design them myself - a fun project for my artistic side. I have quite a few blocks designed at this point - it is the actual creation of them that takes some time. 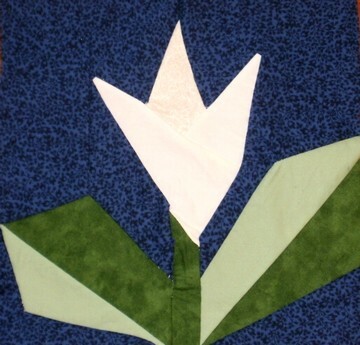 I'm far from being a skilled seamstress - I sew by hand and my stitches are not necessarily what one would call precise. While my projects are made with love and enthusiasm, I'm sure many of you out there could do a much better job with the execution. I have also started a blog to follow the progress of this project and to share the quilt patterns: http://patronsaintquilts.blogspot.com . I will probably share some updates on this blog as well. I hope to be able to create a new block every couple weeks. 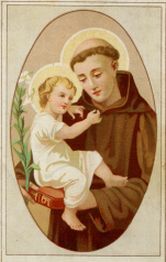 If you have a special request for a particular saint, please feel free to leave a comment or send me an email at pfmacarthur at comcast.net. The fourteen days from June 21—the vigil of the Feasts of St. John Fisher and St. Thomas More—to July 4, Independence Day, are dedicated to this “fortnight for freedom”—a great hymn of prayer for our country. Our liturgical calendar celebrates a series of great martyrs who remained faithful in the face of persecution by political power—St. John Fisher and St. Thomas More, St. John the Baptist, SS. Peter afortnight-for-freedom-montagend Paul, and the First Martyrs of the Church of Rome. Culminating on Independence Day, this special period of prayer, study, catechesis, and public action will emphasize both our Christian and American heritage of liberty. Dioceses and parishes around the country have scheduled special events that support a great national campaign of teaching and witness for religious liberty. A friend of mine is helping to start a Regina Caeli Academy in Hartford, CT. Regina Caeli is a hybrid program where students attend school 2 days a week and then complete the rest of their lessons at home during the the other days. For more information, please visit http://www.reginacaeliacademy.org/ or contact Erika Ahern at erika.ahern at gmail.com. Mary over at Young and Catholic has a post up on 5 Things You Can Do To Make Today Awesome. It's a great list - good for those of us who are Middle-aged and Catholic as well or Senior Citizens and Catholic as well! I got the cutest little book in the mail today from The Franciscan Missions. 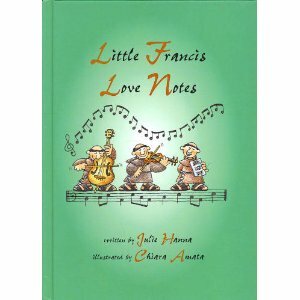 Little Francis Love Notes by Julie Hanna and illustrated by Sr. Chiara Amata is a book of short quotes and directions for life based on the life and example of St. Francis. When I ask, "What's in it for me?" My bowl will never be full. When I ask, "What can I give to others?" My bowl will never be empty. Hurtful things wrinkle my heart - forgiveness puts it back into shape. I can't remake who I am but I can strive to be the best that God has made me. Today (June 13th) is the Feast of the Sacred Heart of Jesus, so I thought I would share this litany with you. Sometimes people feel as if devotions such as that to the Sacred Heart went the way of the horse and buggy after Vatican II. Nothing could be further from the truth. If anything, we need these devotions more than ever in our modern world which so often forgets about God and the love of Jesus. 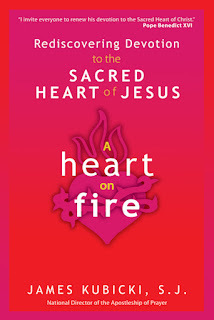 In "A Heart on Fire: Rediscovering Devotion to the Sacred Heart of Jesus," Fr. James Kubicki, National Director of the Apostleship of Prayer, explores the history of this devotion and its relevance for the world today. He examines the history of this devotion, beginning with the revelations of God's love in the Hebrew Scriptures, followed by the life of Jesus himself, its manifestation in the writings and teachings of the early Church, followed by the visions of several saints, such as St. Lutgard, St. Catherine of Siena, St. Mechthild, and St. Gertrude the Great. St. Margaret Mary is the saint most associated with this devotion. Jesus appeared to her four times in 1673 and asked her to have a feast instituted in honor of His Sacred Heart. In 1856, Blessed Pius IX placed the feast on the Church's liturgical calendar and in 1899, Pope Leo XIII consecrated the world to the Sacred Heart. Fr. Kubicki also explores the connection between devotion to the Sacred Heart and devotion to the Eucharist. "Devotion to the Sacred Heart is simply a relationship with Jesus Christ that grows ever more personal and deep. What is the best way to develop such a relationship? The answer is simple: through the Eucharist." He also examines the relationship of the Sacred Heart devotion with that of Divine Mercy. One of the most interesting parts of "A Heart on Fire" was an explanation of the parts of the Traditional Morning Offering of the Apostleship of Prayer. This prayer is well-known, but it was fascinating to learn of its history and the meaning behind the various parts. 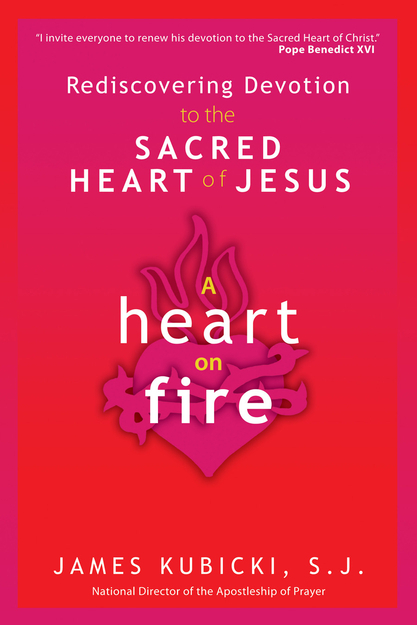 "A Heart on Fire" offers a solid history of devotion to the Sacred Heart and offers sound reasons why we should develop this devotion in our lives. In addition, Fr. Kubicki offers several "prayer exercises" to help us do just that. We offer Jesus all the work we will do this day. It may not seem very important. . . it may feel like a waste of time, like it is not doing anything to advance the work of salvation or God's kingdom. The task itself is not important, as long as it is not sinful. What is important is that every task, no matter how seemingly meaningless or unimportant, becomes an act of love for God. Blessed Teresa of Calcutta like to say that what mattered was not doing great things for God but rather doing everything, especially little things, as an act of love for God. We don't want to lose any opportunity to show God our love, and we can do this by offering up our works as acts of love for him. Sadly, the "Death with Dignity" act, which would legalize doctor-assisted suicide, has made it onto the November ballot in Massachusetts and current polling shows a majority of people supporting it. Offering to help someone kill themselves is an odd way to show you care. The thing that struck me the most about the Doctor-Prescribed Suicide petition was that it uses the phrase "to end his or her life in a humane and dignified manner" seventeen times. Why seventeen times? Could it possibly be because if you repeat a lie often enough people will start to believe it? I am a registered nurse. I have taken care of many terminally ill patients. I have seen a hundred bedside vigils where a family is gathered around a dying patient saying their goodbyes. I've been there helping to care for the person. I've participated in a few myself as a family member. This is humane and dignified. A death pill is not . . .
Our goal is not so-called "death with dignity," but helping a person live with dignity until they die. 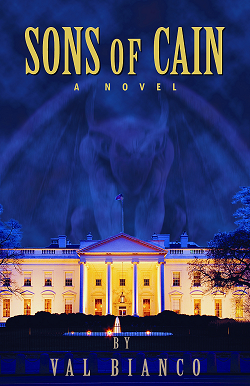 Another take on this issue came in Sons of Cain - a novel I read recently. "What hell wanted from legalized euthanasia was mass suicide. There could be no greater diabolical triumph than to convince humanity that taking one's own life was not only selfless, it was smart." God is the author of life. We are not called to extend that life with extraordinary measures, but we are called to accept that God knows what He is doing. The hour of our death is in His hands, not ours. For more information on this issue, please visit http://masscitizensforlife.org. If you were in an accident and found yourself to now be confined to a wheelchair for the rest of your life, would you wish you had died instead? I'm very privileged to work with Chelsea Zimmerman, a young woman who was injured when she was a junior in high school and is now paralyzed from the chest down. Her article Life in a Wheelchair is Not as Awful as You Think is definitely worth reading. There are the hard-to-ignore sympathetic looks and pats on the back from passers-by and the surprised reaction I frequently get from people who can’t believe that I could have such a positive attitude about my life. Though they don’t come right out and say it, it’s not hard to imagine what they are thinking. We’ve come a long way in helping people with disabilities become more active and involved in our communities and work-forces, but it seems we have not yet relieved the general assumption that life with a disability is unbearable or less fulfilling. In fact, 52% of the people in our country admit that that they would rather be dead than disabled. This able-bodied view of life with a disability – dark, limiting, lonely, depressing – is why so many unborn children are killed after a poor prenatal diagnosis. It’s also why people advocate for sick and disabled people to have access to assisted suicide services or allow, even encourage, family members to starve their severely handicapped loved ones who can’t speak for themselves. In reality, however, most people actually in these situations (including myself) are quite happy to be alive and want to stay that way. "Sons of Cain" by Val Bianco is the type of book that will keep you up at night. It is the ultimate conspiracy theory - the devil and his minions are planning to take over the United States Supreme Court and to establish an alternative to the Catholic Church, a state-sponsored Church based on a "do what you want to" morality. Opposing these evil forces are Nick Rieper, a commando with extensive knowledge in demonology, and his band of highly trained knights. Fr. John Picora, an ex-Marine and ex-addict, now devoted to the cross and prayer ably serves as their spiritual adviser. Bianco begins this novel with a retelling of Pope Leo XIII's 1873 vision of Lucifer. Protected by St. Michael the Archangel, the Pope witnessed a discussion between Jesus Christ and Lucifer. The devil boasted that he could destroy the Church. Jesus gave him the authority to try - for one hundred years. The Holy Father then saw a vision of all the terrible things that would happen in the next century. When he returned to the reality of the present moment, he penned the famous prayer to St. Michael to defend us in spiritual battle. This novel deals with satanic rituals and evil in its purest forms. Evil isn't an abstract idea - it is an ever-present reality, and in the pages of this novel it is fought against by those willing to lay down their lives to destroy it. The pages pulse with action and adventure and the truth ripped from today's political and spiritual headlines. I could definitely see this book as a blockbuster movie on the big screen. It is incredibly well-written and will make you think. While not for the faint of heart and definitely in the realm of fiction (although reading it, I actually began to worry this all could happen and wondered where the real Nick Rieper might come from! ), the "Sons of Cain" will change how you look at spiritual warfare. One thing is for certain - I plan to pray to St. Michael every day from now on! The college years can be such a tough time for young Catholics. So many walk away from their faith during that time period. Some of that is due to the outside world - a world in which faith is often attacked. Some of it comes from inside - it is a time of separating from one's parents, figuring out what matters in life, what the purpose of life is, and where one fits into the broader world. It is important that young people have people of faith that they can trust and go to in order to ask the big questions. Cardinal Sean O'Malley in Boston has started a program called the "Hub" - Hope for Undergraduates in Boston. The Brotherhood of Hope was invited to minister to students at a dozen non-Catholic colleges in Boston. One can only hope that this program will expand and reach more young adults when they need that help the most! Audrey Poulin is a young woman from my community (she volunteers at our local New Women's Center which helps those facing unplanned pregnancies) seeking to enter the Franciscan Daughters of Mary. As some of you may be aware, one cannot enter a religious order with outstanding student loans. This is a huge impediment to vocations today. Donating to her fund to help relieve her of this debt is a concrete way to help a religious vocation. Hearts Afire is a bold and fresh approach to small-group, parish-based, faith-renewal programs. It aims to help set our hearts on fire with love of God and neighbor and to inspire us to do works of mercy in our families. 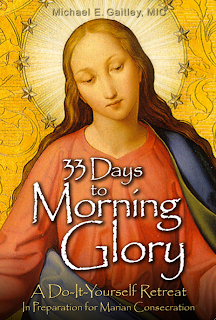 33 Days to Morning Glory is the first of three stages of the Hearts Afire program. 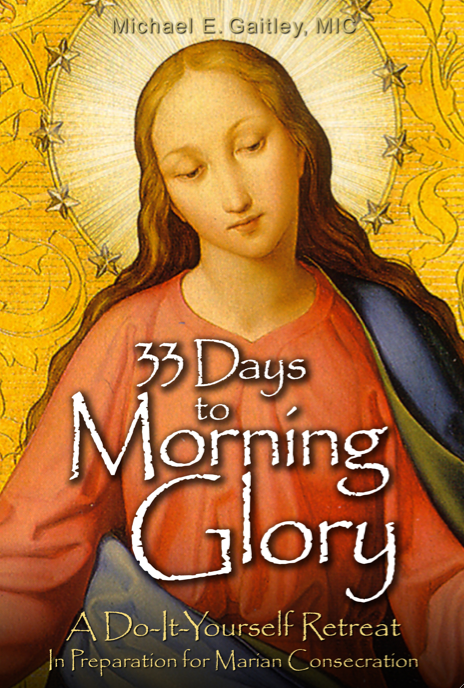 The 33 Days group retreat leads your parish or prayer group to a new understanding and a deeper relationship with Jesus through Mary. For more information and video tutorials on Hearts Afire, please visit AllHeartsAfire.org or call 1-877-200-4277.
can also be used on an individual basis. 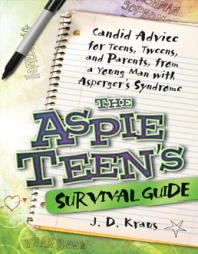 I picked up The Aspie Teen's Survival Guide: Candid Advice for Teens, Tweens, and Parents, from a Young Man with Asperger's Syndrome by J.D. Kraus because I have an eleven-year-old son with Aspergers. As we start to navigate those challenging tween and teen years, I need all the help I can get! I read the book first with the intent of deciding whether I would let my son read it. In the end, I chose not to have him read it. This is because he is still very young in the whole tween/teen age range and much of the information does not concern him yet - he suffers from high anxiety as it is and doesn't need to start stressing about issues that are still a few years away. Also, the author is on some medications to help with anxiety and depression, and he discusses this. While they have proved helpful for him and I know that they certainly can be of use in certain situations, I'm trying really hard to not go that route with my son, focusing instead on counseling and behavioral therapy. Lastly, Kraus is very intelligent in all his academic subjects, whereas my son has some definite struggles and I think he might feel pretty badly about himself if he compared his academic life. However, that being said, as a parent, I found this book to be incredibly helpful and I would recommend it highly to any parent with an Aspie kid as well as any teachers who work with these children. It is always good to have these first-hand accounts of what it is like to live with this brain difference. I can't be inside my son's head, but books like this give me a window into his world. A large portion of the book deals with school-related issues. After reading this, I'm more thankful than ever that I chose to homeschool. Bullying (by both students and unsympathetic teachers) is a major issue and Kraus covers it well, offering suggestions on how to cope and report issues one may be having. Overall, I found this to be a very informative book. Kraus is a young man, so he doesn't have the perspective an older person might have, but what he does bring to the table is the immediacy of having just been in these situations. His memories haven't had time to be softened. This world is as real to him as it is to our own children navigating it. Anything that can help us understand how our Aspie kids see that world is of tremendous benefit. I actually think this was our best year of homeschooling to date. David finished 5th grade and Isaac completed 4th grade. They actually do pretty much the same work, but for reporting purposes and due to their ages, I keep them in separate grades. I remember when I was first starting homeschooling, I was so eager to read everything I could get my hands on about homeschooling - How did people do it? What did their days look like? The truth is that there is no one size fits all homeschooling. That is both the beauty and challenge of it. You need to figure out what works best for your kids and that takes time and some trial and error. So, I offer what we did this year, not as a recipe for guaranteed success, but just another example of what homeschooling can look like. Due to changed life circumstances, the boys had to take much more responsibility for their own education this year. At the end of last summer, I had read Homeschooling with Gentleness: A Catholic Discovers Unschooling and A Little Way of Homeschooling by Suzie Andres. Both are wonderful books and deal with unschooling. Truly, I will never be a total unschooler. I need a plan. My kids need a plan. But, I did let go quite a bit this year. The standardized tests I have the kids take each year and submit to the city as proof of educational progress focus on math and English. Therefore, I decided that those were the two areas that had to be most traditional in our approach. They would learn all they needed to know in those two areas. Plus, they are the foundation of everything else. David gets easily overwhelmed by too many math problems. For him, I used Spectrum Math, Grade 5 . It offered practice in all the topics without being scary. We did one page a day. The only thing it didn't cover was decimals, so we covered that on our own. Isaac has always excelled in math and loves a challenge. For him, I used Teaching Textbooks Math 7. That program comes with CDs that will teach the material, but I never used them. I just really liked the textbook. It leaves a lot of white space on the pages to work out the problems and each lesson offers review on previous topics. We did one lesson a day. We also practice grammar using a chalkboard. I write out a sentence without capitalization and punctuation and they need to fix it. We practice writing a few times a week. This was also the year they learned how to type. I started with a typing program that had been given to me to review. The kids enjoyed it, but it kept making my computer crash. At Christmas, we bought an iPad, and they have been using a typing program on that ever since. Learning how to type has really helped with their writing, which they have always struggled with. They still have a long way to go, but they made a great deal of progress this year and I am pleased with that. The boys read obsessively. The kids I worried would never read a book independently (up to two years ago, I read to them aloud almost all the time) now are rarely seen without a book in hand. They read a lot of popular kids' fiction, much of it good quality, but I also want them to be exposed to more classic literature. For reading, I got a list of middle grade appropriately classics and let them choose. They were required to do 1/2 hour of classic reading a day. They each got through 4 - 5 books through the course of the year. I still try to read to them a bit (5 - 10 mins) each night after we say our rosary together. Over the course of this year, we read Alice in Wonderland, The Wizard of Oz, Grimm's Fairy Tales, and we are now reading Andersen's Fairy Tales. We started studying Latin last year. We use the Catholic Heritage Curricula Latin Program. We used "Vita Mariae" this year. We finished up at the end of the 3rd quarter. For history, I gave the kids free reign to read what they liked about American history. We had done a survey of it last year, so they had a framework. They read biographies, survey books about different time periods, books on the Civil War and Revolutionary War. We also started watching the daily news this year. Isaac decided to start watching it one day and got hooked. I hadn't watched the news since they were little. There is a lot on there they just didn't need to know, but they are getting older and, while I still cringe at some of the topics covered, it is better that they be exposed to them in my presence where I can offer commentary. This allowed us to discuss a lot about current events, politics, etc. They also used a "Stack the States" App for U.S. Geography. Over the course of the year, they really learned a lot. I had originally planned to give them similar free reign with science, but we ended up doing a co-op with 2 other families. We used Behold and See 5 from Catholic Heritage Curricula. It worked out great. They also did learn a lot on their own. They've studied a great deal about various animals this year and just recently have immersed themselves in the world of dinosaurs. For art, we got various books out of the library and explored different works of art and artists. We also did art projects. David loves Lego Digital Designer and wants to eventually study 3-D Design in college, so he used that a great deal. He also used some "learn to draw" books. Both boys also took an "Introduction to Acting" class this year, which they loved. For religion, we used Credo: I Believe, Grade 5 3rd Edition Student Book: Faith and Life . We also read Stories of the Saints I and II from Catholic Heritage Curricula. They can be used as a reading comprehension program, but we just read them to learn about the saints. At the end of the year, we read The King of the Golden City, An Allegory for Children . I do read religion aloud to them. I think it is important for me to discuss with them and answer their questions as we go along. I think that pretty much covers the academic subjects. So, what does an average day in our homeschooling world look like? The kids get two hours of media time a day - their choice on how they use it (TV, computer, Nintendo, etc) - the news doesn't count toward that total. They like to do one hour in the morning right when they get up, then they eat breakfast and start school. It's usually about 8:30. I give them a list of subjects to complete that day. They can do them in any order. I help with the things they need help with. They cross off subjects as they complete them and generally take a 5 - 10 minute break in between subjects. We break for lunch at 11. They usually have one - two lessons left for after lunch and are done their day between 1 - 2 pm, at which point they do their second hour of media time. If we have someplace to be during the day (doctor's appt, etc) - they take their books with them and read in the car. One of the things I like best about homeschooling is that when they are done for the day, they are done. There is no "homework" to contend with. We run errands in the afternoon, or they have friends over, or they go to acting class or chess club, or just relax. Friday is a very light day. They do just one subject in the morning, then we go hang out with our homeschool friends. There you have it - a look at our homeschooling life!